Without realising many people are put themselves at risk using out of date web browsers when they go on the Internet. An up-to-date internet browser is not only faster and able to display web pages better, but will also help to keep your Internet browsing safer from nasties you may inadvertently come across. An up-to-date Internet web browser costs nothing, a browser download is completely free and only has to be downloaded and put upon your computer. The browser you use can be up to personal taste, just make sure the brand you do choose is one that has regular updates especially when it comes to security. Holes in security of web browsers are readily found by those out to create mischief purely for fun or others who want to take advantage in some way. One particular nasty is where your computer is taken over behind the scenes so that it becomes part of a botnet sending spam e-mails. Millions of people suffer from this without even realising it. Even more insidious is the key logger that takes a note of keystrokes when entering security details, especially when accessing your bank online. It’s simple then for them to take over your identity and clean your bank account of money. Don’t take the risk update your browser now! So what is the browser to use? There are numerous browsers to choose from and all free for the taking. Some browsers are small specialist ones and not always kept up-to-date security wise. It is easier to choose from the better known ones that are available. There are five well-known ones that are updated faster and security holes are patched quicker. This is due to them having a better support infrastructure behind their construction. Even so amongst the five popular and better-known browsers, updates are applied faster in some than others. Here are the free and in our opinion still the best to choose from. Chrome is the relative newcomer to the batch. 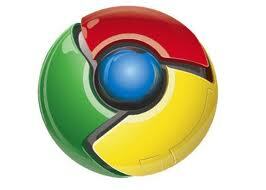 Google have made Chrome one of the leanest and fastest browsers you can use. Security updates are always a priority with Google, improvements to Chrome’s performance is continuous and ongoing. Many people are converting to Chrome. Chrome runs on Windows XP, Vista, Windows 7 and Linux. Firefox is an open source browser made by Mozilla. It is a favourite of millions of people who became disenchanted with Internet Explorer. For performance and security Firefox is always improving. There are many add-ons to give extra abilities to the browser that are in the great majority of cases completely free. Firefox runs on Windows XP, Vista, Windows 7 and Linux. Internet Explorer still holds pole position of being the most used browser. This is due mainly to the fact that it is added to Microsoft Windows by default. Due to people’s inertia in changing things, Internet Explorer stays top of the rank for use. Unfortunately this can mean many are now using an outdated browser to access the Internet. 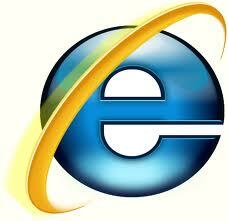 The latest Internet Explorer is Internet Explorer 9. Internet Explorer 9 can only be used on the latest operating systems such as Windows Vista or Windows 7. There are still millions of people using Windows XP, they can only upgrade to Internet Explorer 8 as long as they have SP2 and SP3 updates to their Win XP system. Microsoft are no longer supporting Internet Explorer 7 with any further security upgrades, so if you wish to use Internet Explorer as a browser in safety, it is essential to upgrade it to IE8. Explorer also suffers from not being the fastest updated browser around, very often beaten by Chrome, Firefox, Opera and Safari. Safari web browser is developed by the Apple organisation who make Mac computers. It is available for both Mac and PC’s, so anybody can take advantage of the Safari web browser. Apple maintains up-to-date development of Safari and it has many interesting features that the longer people like. Its look and use appeals to many. If you use other Apple products such as the iPod, iPad or iPhone, you may want to switch to Safari to maintain a more integrated feel to your web experience is all these products use the Safari browser to access the web. 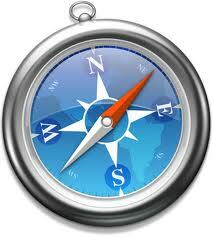 Safari can be used on Mac, XP, Vista and Windows 7 operating systems. Opera is developed by an independent company and has been in operation since 1994. It has many followers who swear by Opera is the browser to use. The Opera browser is frequently updated to keep it a fast safe method of browsing the Internet and has a feature rich application set. 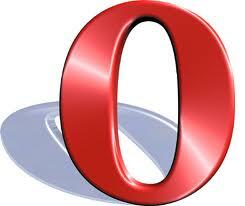 The Opera browser can be used on Macs, PCs running Windows XP, Vista, Windows 7 and even on Linux systems. You are not restricted to having one browser on your computer, many people have 2 or more so that they can switch to a different browser as the mood takes them. Even now some websites render (show) better in one browser than another. You can choose which your default browser is. That is the one that opens by default if you click on links in an email for example. Each new browser added will ask if you wish it to be the default when you first load it onto your computer, just watch for the tick box to either accept or reject the offer. Although it is simple to change to whatever browser you wish as the default later. Go to the help section in any browser for simple instructions on how to do so. Don’t wait for your security to be compromised and give yourself a better online experience by updating or moving to a better browser now.